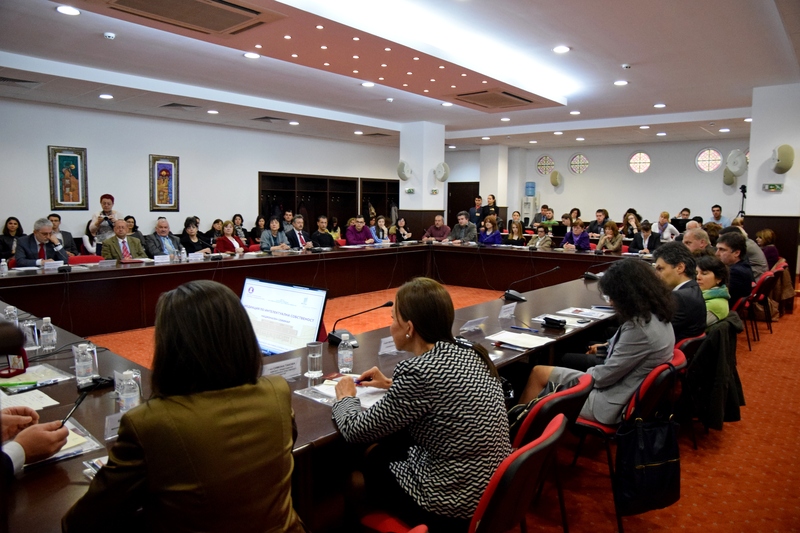 National Seminar on the Mediation in Intellectual Property was held at the Large Conference Hall of the university. 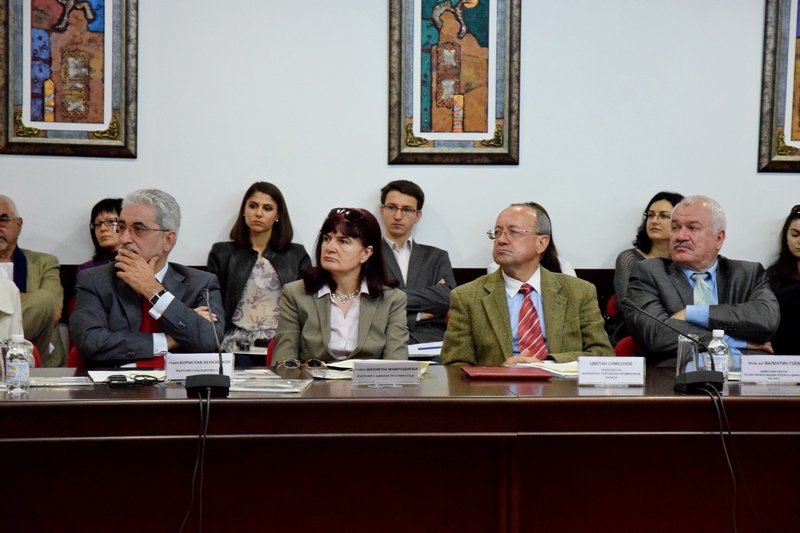 The Forum was organized by the World Intellectual Property Organization, the Institute for Intellectual Property and Leadership at UNWE and the Arbitration and Mediation Centre to the Sofia District Court and Sofia City Court. In the Seminar participated Prof. D.Sc.(Econ.) Statty Stattev, Rector of UNWE, Prof. Dr. Borislav Borisov, Honorary Rector of UNWE, Head of the Creative Industries and Intellectual Property Department and Director of the Institute for Intellectual Property and Leadership at UNWE, Marcelo Di Pietro Peralta, Director of the WIPO Academy, Adam Ratrey, Chief of the Information and International Relations Sector to the WIPO Arbitration and Mediation Center, Vasil Petkov, Director of the UN Development Cooperation Directorate at the Ministry of Foreign Affairs, Georgy Damyanov, Director of the Copyright and Neighbouring Rights Directorate at the Ministry of Culture, Tsvetan Simeonov, Chairman of the Bulgarian Chamber of Commerce and Industry, Milena Guncheva, Chairwoman of the Commission of the Arbitration and Mediation Centre to the Sofia District Court and Sofia City Court, Vice-Rectors of UNWE, representatives of the Patent Office, judges from the Sofia City Court, Sofia District Court and Supreme Administrative Court of Bulgaria, etc. The National Seminar is the consecutive proof of the fruitful cooperation between our university and the World Intellectual Property Organization (WIPO), outlined in his greeting speech the Rector Prof. D.Sc. (Econ.) Statty Stattev. He reminded of the beginning of the relations between both institutions in July 2000 when the then Director General of WIPO Dr. Kamil Idris had been awarded the title of Doctor Honoris Causa of UNWE and three years later he had attended at the opening of the first Center for Intellectual Property (CIP) in Bulgaria – a predecessor of the Institute for Intellectual Property and Leadership (IIPL). In 2009 the newly elected Director General of WIPO Dr. Francis Gurry made a visit to our country which was his first visit to a foreign state and it was also a remarkable sign of the authority of the Center for Intellectual Property and its Director Prof. Borislav Borisov, pointed out Prof. Stattev. 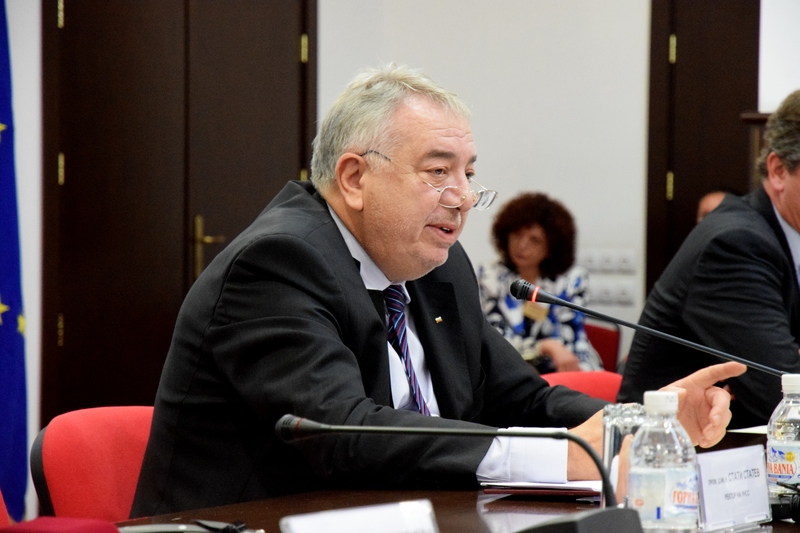 He specified that Dr. Gurry in his academic speech as Doctor Honoris Causa of UNWE had emphasized the role of the CIP as a future regional center for education in Intellectual Property in the Balkans. The Rector examined also the important agreements of cooperation, international conferences, seminars and round table conferences, public lectures by representatives of the WIPO, etc. In the last 14 years under the leadership of Prof. Borislav Borisov, Director of the Institute for Intellectual Property and Leadership was carried out a large-scale work, outlined Prof. Stattev and pointed out some of the facts: the Framework Agreement of Cooperation between the UNWE and the WIPO in 2001 and the Agreement for Cooperation between both institutions in 2011 (about the elaboration and administering of the WIPO website by the IIPL for education in Intellectual Property in the countries in transition), the three projects assigned by the WIPO, the system of distance learning in Intellectual Property for small and medium-sized enterprises IP PANORAMA, the project IP Teaching Website, the joint Master`s degree programme between the WIPO Academy and the UNWE, etc. All those impressive results are due to Prof. Borislav Borisov, emphasized the Rector on the unique contribution of Prof. Borisov in the cooperation development between the WIPO and the UNWE. He pointed out the real dedication of Prof. Borisov, his boundless energy and irreplaceable role in that highly responsible activity. The Rector of UNWE Prof. D.Sc.(Econ.) Statty Stattev awarded a Certificate and Commemorative Medal of Prof. Stephan Bobchev – Founder and First Rector of UNWE to the Director of the WIPO Academy Marcelo Di Pietro Peralta. 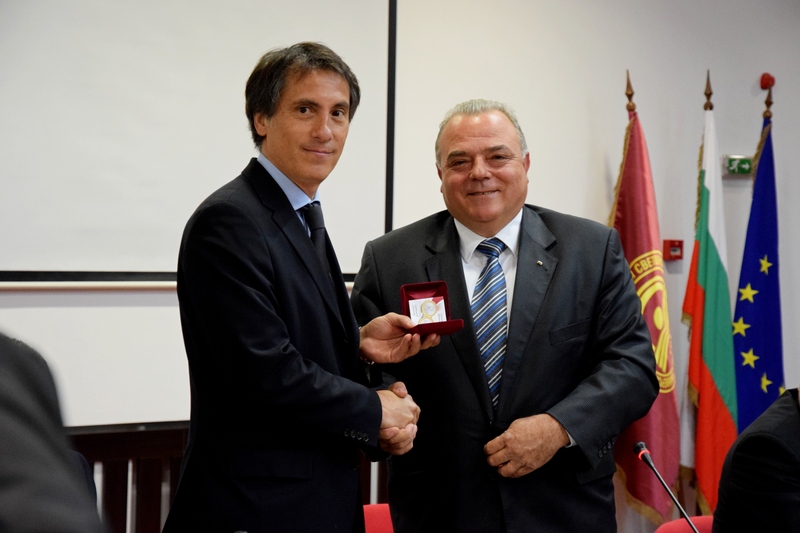 The Rector Prof. Stattev (on the right) is awarding the Commemorative Medal to Marcelo Di Pietro Peralta. I am proud and happy of being here participating in this important Seminar organized jointly by the WIPO and the university, pointed out Marcelo Di Pietro Peralta. The importance of the topic is constantly increasing, in the economics of knowledge the intellectual property rights play a significant role, outlined the Director of the WIPO Academy. He examined the challenges facing the World Organization and the system of protecting the intellectual rights which should be effective and useful not only for the large companies. He paid attention also to the granted rights of protection, alternative ways of resolving disputes and conflicts, etc. The first steps have been already made. It has been created a group to draft a national strategy for intellectual property to enable the state development in this field, pointed out Vasil Petkov, Director of the UN Development Cooperation Directorate at the Ministry of Foreign Affairs. The topic of Intellectual Property will be developed more and more in the next years. Petkov assured the audience that the WIPO could consider the Ministry of Foreign Affairs as its ally. The basis of that interaction had been set back in 2008 by the signing of the Memorandum of Cooperation between the WIPO and the UNWE. The mediation is an easier and cheaper way to achieve an agreement between the disputing parties, said Georgy Damyanov, Director of the Copyright and Neighbouring Rights Directorate at the Ministry of Culture. Our office welcomes the organization of this event because the mediation is part of the Copyright and Neighbouring Rights Act, outlined Damyanov. The mediation is very necessary practice also in the disputes between the copyright holders and the users facilitating the contacts between parties, added Georgy Damyanov. Georgy Damyanov (in the middle) is greeting the participants in the Seminar. This Seminar will give a new impulse and inspiration to work, pointed out Milena Guncheva, Chairwoman of the Commission of the Arbitration and Mediation Centre to the Sofia District Court and Sofia City Court. The attendants in the hall are people with creative and innovative thinking and the goal is important and meaningful. 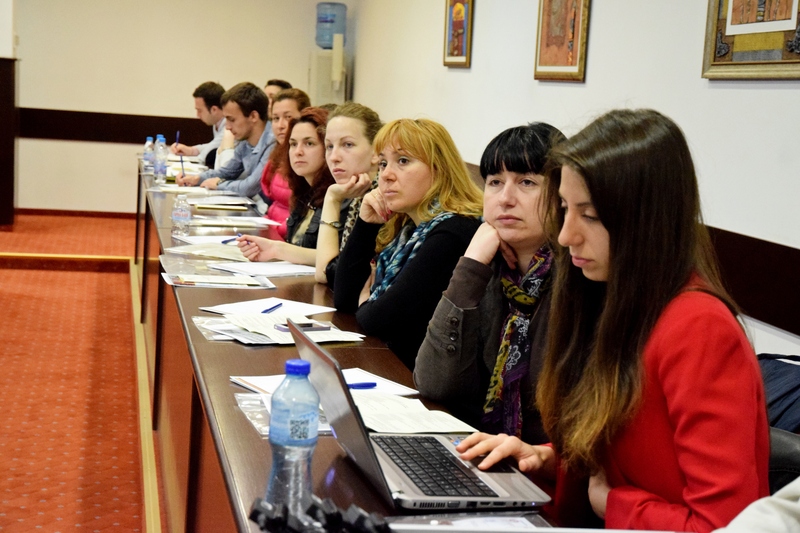 It is a meeting of new visions and ideas and it will open new ways of development, said Guncheva. Tsvetan Simeonov, Chairman of the Bulgarian Chamber of Commerce and Industry emphasized on the fruitful cooperation with the WIPO. He was clear that there had been more to be done in the field of mediation in Intellectual Property. 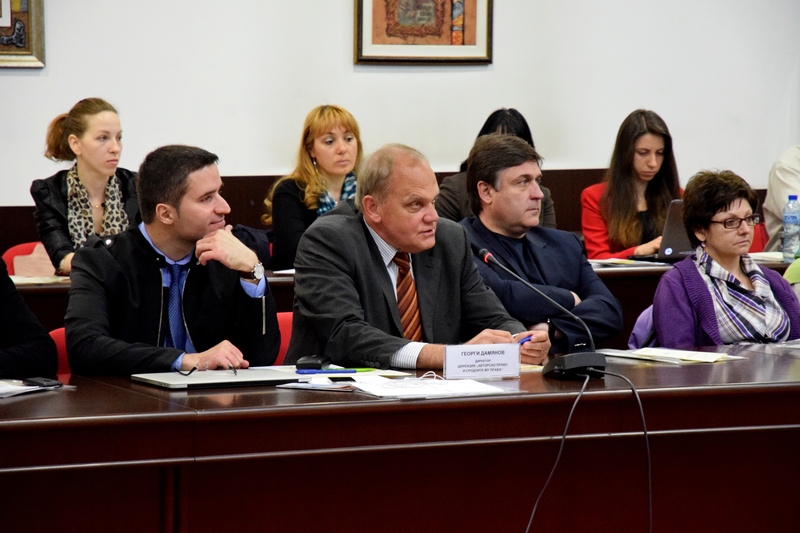 The first main report on the Intellectual Property (Introduction) was read to participants in the Seminar by Prof. Dr. Borislav Borisov, Honorary Rector of UNWE, Head of the Creative Industries and Intellectual Property Department and Director of the Institute for Intellectual Property and Leadership at UNWE. In chronological order of development he outlined the specifics of the property in terms of industrial revolution, the essence of the controversy, the action of the various conventions and unions, etc. Prof. Borisov examined the incorporation of the term "intellectual property", the establishment of WIPO, the rights on the intellectual property objects as materialized results of the intellectual labour, patents of inventions, industrial design, trademarks, the patent wars, etc. Prof. Dr. Borislav Borisov read a main report. Introduction to the topic of mediation was made by the lawyer Simona Takova, mediator and representative in Intellectual Property. About the Legal Orders of Mediation in Intellectual Property in Bulgaria spoke Assoc. Prof. Dr. Vladya Borisova from the Creative Industries and Intellectual Property Department. Presentation of the WIPO Arbitration and Mediation Center was made by Adam Ratrey, Chief of the Information and International Relations Sector to the Center at the WIPO. He also distinguished the potential advantages of mediation and disputes in the field of Intellectual Property. The main topics of the seminar were: The Court Mediation Practice in Civil and Commercial Trials/ The Court Practice in the Field of Intellectual Property/ The Mediation - the WIPO Practice and Real Cases/ Services for Alternative Resolving of Disputes for Certain Sectors to the WIPO Including the National Intellectual Property System. The Seminar was broadcasted online.